Many .NET developers I know are really excited about what WPF and Silverlight can do for them on the web. Now that development environments are available to actually push production websites out that support WPF and Silverlight, I think we’ll start seeing some very interesting Virtual Earth/GIS applications in the coming months. Despite what some say about “doing GIS” inside web clients, there is a movement toward giving basic GIS controls to web users to perform GIS tasks. 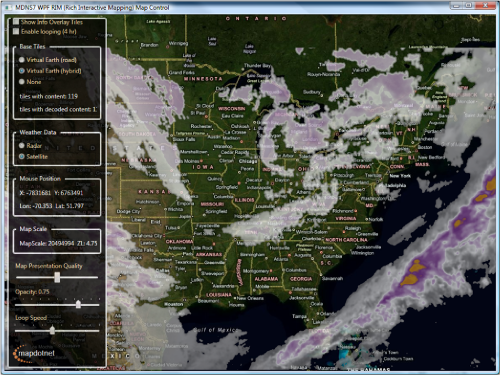 WPF, I think, gives an effective platform to run geospatial analysis. Personally I think I’ve got to get that MDNS project a kick in the pants. We’ve been stalled due to funding (warfighting takes precedence these days with DoD projects), but maybe we can get things back on track this spring.